Both Jacki and Christine correctly identified the two designs as coming from A Yorkshire Fable. Now for a sudden death decider……Jackson came home minus his collar this morning and so I have issued him with a temporary one that I found at the back of a drawer……what colour is it?! Here are the choices : Green, Purple, Pink, Orange, Blue, Black or Yellow? If neither of you are correct, we will do it again with your colours omitted! Answer to collar@jannettesrareyarns.co.uk by midnight Wednesday. Today I filled in the request form for the bar in our room in Jamaica…..I have asked for Rum, Vodka, White and Red Wine and Orange and Pineapple Juice!! Tomorrow we are going shopping for shorts and shirts for John and tops for me. I seem to have plenty of shorts and sandals!! In fact I had forgotten about a lot of them! I have more Superior coming and also some old knitting books. More photos to take. Going to have a bath now! I am delighted in becoming a stockist of Brooklyn Tweed patterns. I have just placed an order and they should be here later this week. We went to look at another cattery for Jackson today as I am not really happy leaving him here. I worry that whoever comes to feed him will let him out and then he won’t come back before the person leaves and then when he does come back he will sit and cry to be let in. So we went to see a cattery about 2 miles away. We were most impressed, it was spotless and airy and the inmates looked happy. The owner keeps Burmese cats herself and is definitely a cat person. So we have booked him in! Slip will stay here as Kevin will take her out for long walks with Finn and I think she is happier in her own surroundings. 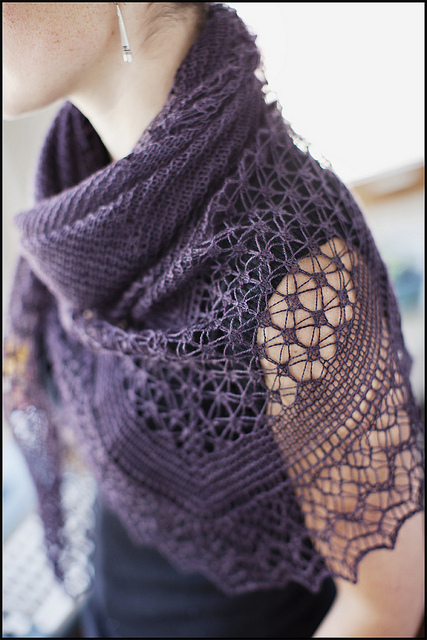 New Manos del Uruguay patterns arrived today – lace knits. I will put them in the shop tomorrow. We went for a Chinese meal on Saturday night. I had soft shelled crabs followed by salt and pepper lobster – very nice! I know I have to update the contest – just need to check if Jacki has sent an entry and I will do it! Debbie Bliss Simply Crochet arrived yesterday along with the new Debbie Bliss magazine. They are both in my shop now. I see that there is going to be a Noro magazine starting in June – there is an advertisement for it in the Debbie Bliss magazine. Jacki and Christine both answered the question correctly Jacki said celery and gooseberry as two things you can eat and pacific and yacht as two things associated with the sea. All from Rowan’s Handknit cotton. And Christine said the same and added Atlantic and Sea Foam for good measure!! Now can they tell me where you would find Hepworth and Bilberry? Answers to contest@jannettesrareyarns.co.uk by midnight Monday please! I had my hair cut this morning and went shopping – only groceries. I must start to get organised for Jamaica – it won’t be long now! We are going out for a Chinese tonight – soft shelled crabs – yummy! Back tomorrow. 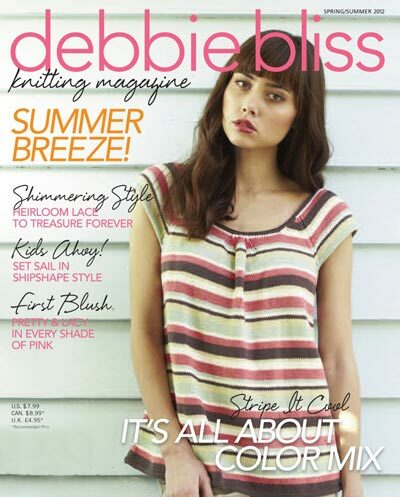 Debbie Bliss Magazine #08 arrived today – I have not had time to put it in my shop but will do so tomorrow. Also the new shades of Manos de Uruguay Lace Weight and Serena came. Since it comes in bundles of ten hanks, I have been busy skeining it – not my favourite task! I need some photos of your finished projects to put on my website – don’t be shy…….if you prefer, I can just say “Knitted by Mary from Arizona” or whatever!! Nice photos with details of yarn and shade please! Jackson will be awarding a prize for the one he likes best! We are going out for a drink now….I deserve a rest! Back tomorrow. Today has been fast and furious. Last night my broadband connection suddenly went down at 8.0pm. Re-booting the router did not make it spring to life and so I braced myself to ring support in India. After dialling the number I heard an message saying that there was a major fault in my area and it would take 4 hours to fix! Great! All I could do was access my site from my iPhone – very fiddly. It came back very late last night. We have been looking after Finn ( Kevin’s Wheaten Terrier ) today as he wanted to go to London and his wife and daughter are in LA and so there was no one to look after Finn. He is very boisterous but we took him for a long walk and tired him out! I have the new Debbie Bliss magazine coming tomorrow and also Louisa Harding’s Delphine. Be sure to check out my Deal of the Day – on the home page of my site – this is a special offer that only lasts 24 hours! Sorry – I have been so busy finalising my new site and am going to switch it to live this afternoon. It is all somewhat nerve wracking but I have to take the plunge. It can take up to 72 hours for the switch to happen but it is usually much quicker. I am not going to update the home page on the old site today because it will not be there for long – I hope! If you have signed up for my newsletter in the past, you will need to sign up again – there is a box on the home page. If you find any glaring errors anywhere, please let me know – this has been on the hardest things I have ever done and it is far from perfect but I can refine things as we go along. There was a problem with the jigsaw that was the last question in the contest and so here is a new question for Jacki and Christine. Which yarn range has 2 things that you can eat side by side and two things that are associated with the sea side by side. All four things are in the same range! Answers to shades@jannettesrareyarns.co.uk by midnight Thursday! Right I am going to click the button to start the activation of the new site – I feel dreadful! I have been to the hairdresser this morning and done some grocery shopping. John is out at a fishing club meeting but will be back for lunch. We are going for an Indian meal tonight with Kevin as Joanne and Hannah ( Kevin’s wife and daughter) have gone to Los Angeles for a week’s shopping!! Jacki and Christine both answered the last question correctly – they were shades of Rowan’s new Creative Linen. Now we will have a jigsaw…what it this? Answers by midnight Monday to jigsaw@jannette’srareyarns.co.uk. Jackson has developed a hatred of a pheasant that comes into our garden to feed each day. We call him Big Boy and he always comes at the same time. Jackson somehow knows this and lays in wait behind a wall and then rushes out at Big Boy. He nearly caught him yesterday – Big Boy had his back to Jackson and did not see him approaching until the last minute. I don’t know if Jackson would be able to kill him if he did catch him! Now I must get on with my new shop – I am getting there!